Mr. Gaughan enjoys a diverse law practice that allows him to assist individuals, businesses, and local governments through a wide range of legal issues. 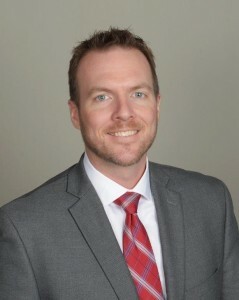 Mr. Gaughan represents individuals in employment-related disputes, with particular expertise in the area of invasion of privacy law. Mr. Gaughan also represents individuals and businesses in a variety of premises liability and personal injury matters. Eric M. Madson v. Minneapolis Police Department, City of Minneapolis, A10-897 (Minn. Aug. 25, 2010). State v. Aaron Matthew Brown, 2007 WL 3257179 (Minn.App. Nov. 6, 2007). State v. John Michael Malinak, 2006 WL 1601737 (Minn.App. June 13, 2006). State v. Patrick Lawrence Saxton, 2005 WL 3527295 (Minn.App. Dec. 27, 2005). Kopet, et al. v. General Mills, Inc., 2005 WL 1021651 (Minn.App. May 3, 2005). Rouillard v. Potter, 2003 WL 21026814 (D.Minn. May 5, 2003). Bodah, et al., v. Lakeville Motor Express, Inc., 649 N.W.2d 859 (Minn.App. 2002), rev’d, 663 N.W.2d 550 (Minn. 2003).